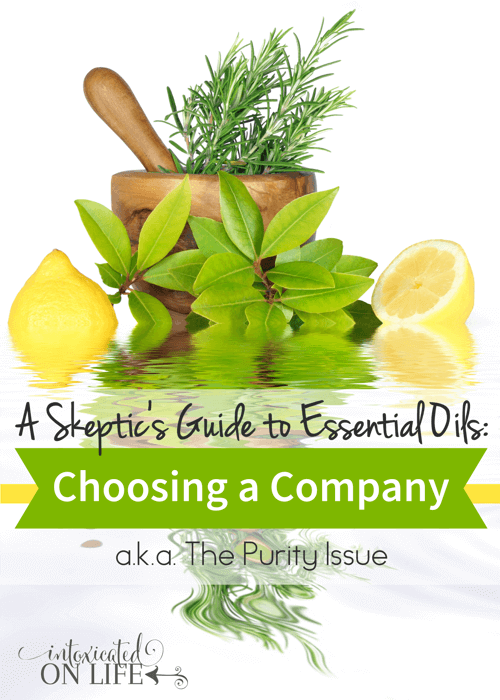 Are you interested in essential oils but confused about which company to buy from? 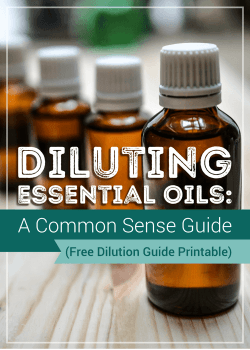 It can be frustrating to navigate the thousands of blog posts and articles that talk about essential oil purity only to find that most of them are written by people trying to sell a particular brand. I’m sure many of them wholeheartedly stand behind the company they are promoting (and I personally know several people who resell at cost just to get the discount on a product they love), but it sure makes things difficult for the average skeptic. All that makes choosing an essential oil company more difficult. Many companies say they sell 100% pure and natural, therapeutic-grade essential oils. They may even say “certified.” However, there is no such standard that is defined and universally applied to essential oils. The EO companies can define for themselves what “therapeutic-grade” and “pure” mean and use those terms in their marketing materials. I don’t know about you, but I find that highly irritating, especially when I’m trying to choose an essential oil company. That said, it is commonly understood that “pure” essential oils are those that contain only the concentrated aromatic compounds from the plant without any adulteration. Additives and adulteration can be harmful to the body and greatly reduce the effectiveness of the oil. They are typically added to essential oils as a way to lower production costs, and can include: chemical dilutants, synthetic oils, mixing cheaper oils with more expensive ones, and alcohols. How the plants are grown: Basically, you can think of this in a similar fashion as buying organic/local vs. conventional foods. Organic essential oils are better than conventional because the effects of chemicals impact the integrity of the oils. Buying essential oils provided by local, sustainable growers is even better than buying organic because the higher quality and personal care of the plants grown. How the oils are distilled: The best processes are the ones that alter the essential oils the least, thus retaining the most therapeutic value. This means no additional pressure or heat. Generally, the best distillation methods aren’t ideal for large crops, and so quicker methods are usually employed. 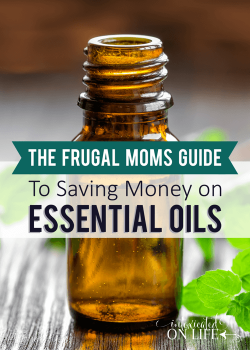 What makes choosing an essential oils company difficult is that they sell their products at such widely varying prices and yet all claim to have superior quality. Something doesn’t smell right here (pun intended). In my research for choosing a company, I’ve learned that most companies buy from the same essential oil “experts,” who basically function as middlemen between the EO company and large-scale farmers. This makes me question how much of their pricing comes down mostly to marketing. It can be very difficult to cut through the sales hype and misinformation to get to the real data. After processing all this information and much more, I came to the conclusion that I just need to do my best for choosing a company that seems to have good quality for the price. However, my research revealed some other important things about Essential Oil companies to consider. I decided on the following as my personal checklist. Purity: I want to choose oils that I feel good about using with my family, so I want to buy oils that are are unadulterated. For me, this is like buying organic/local food over conventional whenever I can (which isn’t all the time). I’d like to get the most pure oils I can reasonably afford. Price: I don’t have money to just throw around. However, if I’m going to do this EO thing, I accept that I may have to pay a little more for quality and customer experience. Quality: Keeping the price point in mind, I’d love to find an essential oil company who has the local farm flavor, purchasing from small, sustainable farms and using farming and distillation methods that produce the highest integrity oils. Service: I have a lot of questions and I want a company that can provide good customer service and education in how to use my essential oils most effectively. I also want them to be real experts that shoot straight instead regurgitating fluff. Am I aiming too high here? Reputation: Choosing a company that has a reputation for all the things above is so very helpful. Finding stories of company interaction and essential oil experiences helps me make the best choice in the midst of so many good options. Ultimately, my goal is to find high quality essential oils that work well from a company that I can trust. That is my advice for you as well, even if you don’t end up with the same company that I do. Just placed an order based on your recommendation. I used your affiliate link. I also like Plant Therapy. What about their merger? Don’t like that at all. Why do you not like the merger Martha? This whole thing has been a nightmare for me too. I signed up with YL just to try with zero intent on selling. But while I have some on hand, I also have some DT, and Plant Therapy also, and I resent YL for their arrogant claims to be the only brand that is trustworthy. Ironically, I used Four Thieves by Plant Therapy in the house all winter and no one was sick. Then I switched to YL and the colds started up again, but I dare not confess this to my YL “sponsor” (?!)! I’m grateful when I come across pages like this that also express what I have encountered with oils. Who knew something with such natural potential is such a controversial issue! I have been considering YL myself so it is nice to hear the downside also! I completely understand! There’s a lot of info out there and a lot of companies saying they’re the best. 🙂 Glad the article could help! I, too was a distributor for YL with no intention of building a downline. Personally, for me, it is the new age factor that bugs me Too lengthy for me to get into that here, but it bothers me. I pulled away from them. I have some of their oils but I won’t purchase anymore from them. They are far too pricey for one thing. I also don’t like the almost cult like atmosphere of that company. Again, they say they are the best when in actuality, I have my doubts. Their plants are not wild crafted nor are they grown in their indigenous locations. I would also like to know how many distillations they use or if they use another form. Also, they say their Thieves blend will keep you from getting sick yet, I diffused that around my neck for a whole day and the next day I got the flu. Hmmmm…… I’m debating on Native American Nutritionals but still keeping my options open if I can find something better. However, the research done by whole new mom was pretty in depth and I have to say she nearly has me convinced. For any of you thinking about going with YL, I’d give it some serious thought. Also, the guy who has DT used to work for YL. As with both companies, they say they have oils used in the Bible. Heads up folks, distillation wasn’t invented then. Oils used in Biblical times were infused – like garlic infused olive oil. So don’t let any company tell you that they used specific oils in the Bible. They did, but they weren’t what the EO companies are claiming they are. Also, Frankincense, Myhrr and that group would have been in resin form, not oil. Also thought I would let you know that both YL and DT were warned by the FDA to stop their practices of claiming their oils would cure certain things. Those letters can be found online. I have many concerns with YL and DT, but not the letters the FDA sent to them. Look at the main brass for the FDA and you will find many ex bigPharma guys there. They are the biggest crooks, so that does not add or detract from either company. BTY, I find this letters somewhat educational, in that they (without intention, I’m sure) provide a good guide for EO use! I watched a video where saying that those letters were about allowing other companies to use words like “100% pure” in their labeling when they only use a small percent in order to deceive customers. Right because the pharmaceutical companies are threatened by the EO movement. Millions of moms are seeing the benefits of using plant based essential oils instead of expensive toxins found in medications. Pharmaceutical companies are losing $ so they make threats. Young Living does not claim to diagnose, heal, or cure. It’s all complimentary medicine. I have seen nothing but success with essential oils, including the theives blend, and I am an RN and around sick people everyday. If you read the description and distillation Frankincence is resin based, extracted from the resin…that’s how YL extracts their frankincence oil. You really need to do your research. 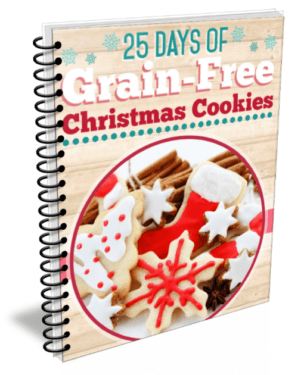 Frankincense was used in liquid oil form, for a fact, in the Bible–just sayin’? I use DT they are NOT affiliated to YL in any way. I trust their oils and you Do Not have to sell anything. I earn points for free oils, and every month there is a discounted item. The customer service is awesome. I like how they source the oils, from the places where they grow naturally. I also like how the help the communities where the oils come from by paying the farmers a livable wage for their efforts. How many other oil companies do this. Try DT. I trust no other oils to take internally!! Please don’t take EOs internally until you have had time to research the oils properly! The only groups I have found that suggest this type of use are groups that want to sell sell sell. There are some great sites with information on how, when, what and why to take internally and the list is not near as big as some companies lead people to believe! i would love to have that list. I just started with Doterra, and will not suggest taking them internally until I know for sure what is safe. I have done some research, from aromatherapists, naturopaths, etc.. I have diluted in honey and raw sugar into over 1 gallon pitcher of water 2 drops of lemon, 2 drops of wild orange, 2 drops of grapefruit. I also read it can be diluted onto mushed fruit. I added all of these into a glass jug with a spout, with fresh fruit and made infused water with it. I drank no more than 2 glasses of the water a day for 3 days. I read it helps to cleanse. I hope this is ok. If you can let me know where to find this information I would really appreciate it. Just an FYI , if you call DT they will admit they do Complete distillation, which is fine but it’s like watered down kool aide. It’s lest therapeutic. First distillation is what you want. Actually the complete/first distillation thing about DT is a myth – I’m not entirely sure where it got started…maybe an uninformed salesperson from DT? Dr. Pappas of Essential Oil University debunked this you can read more here. When doing a quick google search, I actually found that DT has an entire article on this topic as well that debunks the myth as well, but I personally like Dr. Pappas explanation better. You can read the DT article here. While some may not like essential oils being outsourced, I personally think it’s a much better way to do things. When the plants that essential oils are extracted from are grown in their indigenous locations, from the reading I’ve done it indicates the oils have a much more therapeutic. This is because soil and climate impact the chemical profile of the oils. All that said, rigorous testing is necessary for any company who sources their oils. I had this experience with DT. We were really almost “brainwashed” into believing that DT was the ONLY safe, quality option. Now, I do think their oils are excellent but I feel scammed by them on the business side. Just my experience. I’m excited to try some other companies. I will stick around for more! Hi there! I have also been through the drawn out process of vetting companies for home use for my family. I ran across this website: http://learnessentialoils.com – which is under construction. But if you fill out the info to the left on the page, she will email you a very helpful tool/checklist for choosing a company. She is an aromatherapist with quite a bit of training, and I like that she doesn’t vocalize her support for any one company, but instead offers tools. 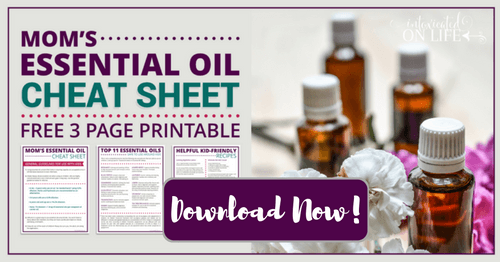 The most valuable info I found there was information on how oils are tested for purity and what varying benchmarks of standards exist for verifying their integrity–you just have to know where to look and what questions to ask. Hopefully others will find this info just as helpful! As I did my own research it was interesting to see which companies used perfumery standards to measure their therapeutic oils. Thank you for your post, but was not able to get in the web page, it said unavailable. Will try later. dt has changed our life! I love it!! I love Nature’s Gift – they have quality oils for reasonable prices. Very easy to get a hold of if you have any questions – though e-mail works best. The owner, Marge Clark, has been in the business for over 20 years, I believe. She has written two books. Wish I had come across them first – I would have bought their 16 oil 5ml kit, instead of the 15 ml singles I bought from NAN. I do like NAN’s Immune and Purify blends though. Also have purchased a few from Plant Therapy – their prices seem lower because their bottles are only 10 ml. Though I would say my first choice now is Nature’s Gift. Are you serious? Do you really believe that God cares if you purchase essential oils?? I believe the Lord does direct us and provides for our needs. Those who have faith and trust know that our God is an awesome God. Please email me directly what combination worked for your headaches–I’ve used some dt but so far only over-the-counter mess work for me and they make me sick. [email protected]. I would venture to say she believes God wants her family to be more natural and get away from the toxic ingredients that many medications have in them. I also believe God wants my family to head in this direction. No, not to “buy essential oils”, but to get back to more natural methods in eating, healing and basically all over living. He provided everything we need to survive. We got away from that and have become a more sickly culture/world. Getting back to nature can help our bodies become stronger and be able to fight off things more naturally. Medicines still have their place but if you don’t need them because there are healthier, more natural methods to help our bodies help themselves, that is a better path imho. Yes I do believe GOD cares! These oils come from the earth, and very much are healing gifts from our maker, dont get me wrong mod-med has its purpose as well. I believe GOD cares about everything in our lives!!!!!!!! You are right that USDA certification doesnt certify essential oils per se. But some companies will say their oils are USDA certified because it comes from a farm that is USDA certified for other things. For example, a farm might grow herbs and has a certification for some of the plants that are sent to stores for eating. Then they might use some of their crop for essential oils and then they will slap the USDA label onto that. IMO it doesn’t mean much. Getting a USDA certification doesn’t take that much work other than a wad of money. So usually when you see it, its just a marketing ploy. NAN has a unique problem, because our plants are grown on small farms from around the world. USDA won’t approve most farms outside of a handful of countries. We grow in Oman, Afghanistan, Egypt, etc where the plants natively grow. By making this choice, we sacrifice the ability to get USDA certification because well USDA is the United States Department of Agriculture, so they are only interested in certifying american farms or farms that America has major import treaties with. This means that they only certify USA farms and about 10 other countries, thats it. USDA certification does still allow synthetic pesticides to be used as well, there is a list of hundreds of allowed chemicals on the USDA website. This isn’t to say that all oils with the certification have these chemicals in them, its just that they could have them and still get the fancy USDA label. So its not a silver bullet of trust. All our oils are either organically grown, or wild harvested. Certifications vary for us depending on country or region. So we don’t even bother getting into the certification game that other companies play. By our definition, that means no pesticides or fertilizers of any kind. This is actually possible to do because we only grow our plants in native environments. So if Frankincense grows naturally in Oman, then we can grow it there, without needing to do crazy things to the soil to get it to grow. It naturally wants to grow in its natural habitat, and it also grows in its most therapeutic state when grown indigenously. Also, we do not grow our plants on large corporate farms, we grow them on small family farms. Because they are grown on small farms, the plants are better taken care of, and don’t need the assistance of fertilizers and pesticides. Long story short, the plants are planted and grown naturally. So this is a win-win. The only downside is pay crazy import fees and shipping charges to bring them from all of these places. In addition to farm inspections, We test everything that comes in a second time ourselves, and reject oils that do not meet our strict standards. Which is why we have oils and blends go out of stock from time to time. For example, we have Melissa right now, even though it is out of stock. But we are waiting for our 3rd party testing before we mark it back in sale on the website. We do not allow any pesticides or fertilizers on our farms. Our goal is for the plant to have less than 2 points of human contact when it is harvested. They are planted, grown, and then harvested. Even unnatural watering is discouraged, except during dry years. Our thought is that the plants grow best, when not touched with humans. 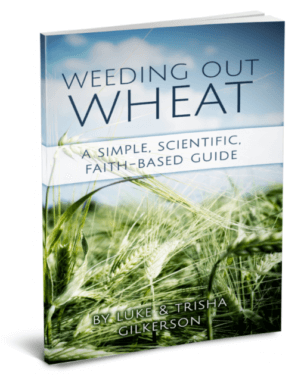 Good crops go to essential oils, lesser crops get sold to soap companies, and bad crops get abandoned. Many of our oils are wildcrafted, meaning the first contact they have with humans is when they are harvested. Otherwise they are grown exactly as nature intended, nothing added. Ultimately our goal is to get as close to the natural product as possible. We want as little human involvement with our oils as possible. We dont want tractors driving around our plants getting fumes absorbed into the plant (and ultimately into the oil), we dont want neighboring farms dusting for pesticides, nothing. We go to remote regions and harvest them as naturally as possible. Simple as that. I now personally get my oils from Native American Nutritionals. Based on my research and the experience I’ve had thus far with their oils, I would be a hard sell on any other company. I’ve used Plant Therapy’s “thieves” version and I actually prefer it to YL by far and find it works better. I also like that they honestly discourage people from taking these things internally. They are a small company, excellent customer service, decent prices and decent shipping. The fact that you can buy your stuff and not be harassed into MLM takes the cake for me. A few things here. I agree the USDA certification is bit of a game but if you are selling products with their ingredients in them….eventually a customer may request to see organic certification. If you go with NAN you will have a problem. If you go with Mountain Rose Herb you can download their Certification online. It really depends what your purpose is for using EO. Testing is the ultimate test and i see nobody doing it yet. Maybe its the cost of $250 to test purity of EO but I think there is enough interest that everyone should get together and pool some money for independent testing of NAN and Mountain Rose Herb. This would put to bed who is or isn’t including chemicals in growth and distillation process. Right now its he-said-she-said. I know this is an older post but I wanted to share what I have learned and my own personal story in reply to this. First, DT sends each batch out to be tested using several different outside labs so there is no conflict of interest. So yeah, some EO companies DO take the time (and money) to make sure they are putting a safe and effective product out there. I am a birth and postpartum doula and one thing that I was taught in my certification was how to use essential oils during labor, birth, postpartum, breastfeeding, and with babies and families. I wasn’t told which company to go with though. After everything I had read, I decided to buy a few different kinds and take them to my grandmothers business which she ran with her two friends. It is a health and wellness center but it is also the top compounding pharmacy here. To make this part of the story short and sweet, I won’t use anything but DT after that. They make stuff for their health and wellness clinic with EO’s in them and will only use DT as well now. Now, of course I had to see if they really worked right? I mean I had seen them make a difference in my clients but for me? Yeah right! I’ve had 8 surgeries, battled cancer, and have an autoimmune disease similar to Lupus. Then I have to deal with the C-PTSD, severe anxiety and depression along with severe pain and fatigue so bad I can’t pull myself out of bed anymore even to take my kids to school. I take a handful of pills 4 times a day just to keep myself alive. Essential oils can’t help me. My mother was 38 when she passed from complications of Lupus. That was the road I was headed down. I turn 29 this year. Well, DT has changed my life! You might think I’m joking but I’m really not. I still have to take medication to deal with the damage the AI disease has caused. I still have to see several different doctors. I still have to be watched closely and monitored but currently the AI disease has gone into a “remissive” state. I had no idea this could happen but my doctor said it didn’t mean the disease is gone. It will never be gone. He said to think of it like it was just sleeping. And that I was lucky because most don’t get this “luxury” and to spend my time wisely. This is the first time in 8 years I’ve been able to actually work, do more with my children (who are 9 and 7), hurt less, and see the world in a different light. I finally starting to feel like ME again instead just a disease. You know, we still don’t understand that much about AI diseases. So who knows what put this disease in a “remissive” state?! It could just be coincidence that it happened shortly after I started treating myself using oils and using them regularly in my home. I don’t think it is though. Why? Well, I could get all technical and go into the science of it all. I won’t though because it would turn this already long comment into a few pages worth of text. lol I suggest you dig into some medical journals and also find some reputable sources on the science of EO’s if you really want to know that badly. 😀 There is a lot I could say here. You might be surprised what you find. Is there a way you can go into your previous blogs and put a link to the NEXT article of the series, after that next article is posted?? I didn’t receive these articles as you wrote them and now months later, I’m having a heck of a time finding the NEXT article of your Skeptic’s Guide. Very frustrating. I’ve added a link to that page at the bottom of every Skeptic’s post and will do so for future ones. Thanks for the suggestion! Hey Alisa – and everyone else – the one important factor that I think we are missing here is that although most of the major companies that solicit essential oils say they have 100% pure or natural therapeutic grade essential oils, and even if their claims are true and they have not adulterated their oils, one will always want the essential oil that is going to be the best for their family – which should always be the essential oil with the most natural powerful healing compounds. Notice how i said natural – because some essential oils companies add in the certain compounds that are naturally found in the essential oils but they are not at a high level because of this one important factor: indigenous locations of where these plants grow. One company can grow lavender or lemon or ylang ylang in a very nice location that provides high yield and therapeutic benefits, however, that location may not be where the plant naturally grows so it will not contain the highest level of chemical constituents that make up that specific oil. Knowing that most essential oils are around the same price with their 100% pure/natural therapeutic grade EO, one should always choose the EO with highest levels of healing compounds. I like to use the analogy: for about the same price would you buy a Honda or a Rolls Royce? For this reason, and for the plain fact that our bodies have overcome our health issues faster than anything we tried previously, is why my wife and I have aligned ourselves with DT. Have you tried other oil companies? And are you saying you notice a huge difference in DT vs. these other companies? Specifically how has DT changed your life? I keep hearing how great DT is but I haven’t heard specifics. And that is why I am so on the fence. Their is a blog that has done some 3rd party testing on different essential oil brands. It is an excellent read. I found it very helpful. She also has a lot of things on essential oil safety and children. Let me tell you an MLM story. Now the latest, “miracle cure,” is essential oils. A while back it was various competing, “Melaluca,” MLM’s that don’t exist anymore. Prior to that was, “colloidal silver,” various vitamin and nutritional MLMs, and of course Amway – which is still around. I was having lunch with my son at a local sushi place. This woman next to me, also with a child, began love-bombing me. There were two choices: Either she was recruiting for a cult or for an MLM. I picked MLM, since most cultist don’t eat at sushi bars and don’t bring their kids along for the ride. Sure enough, it was Melaluca, which is nothing but overprice products using tea tree oil and probably doesn’t exist anymore. The recruiter was full of enthusiasm, telling me how I could make lots of money like she does and have all these wonderful friends who would and it was such a marvelous, loving community to be a part of. I asked for the check and left. My husband and his business partner were invited by some guy they met on the plane to dinner at a restaurant as the guy claimed he felt they could do business together. I immediately picked up that something was off, as the guy was vague about what his business was. Turned out the guy was Amway, and he kept trying to get my husband for years. Guess he finally gave up. I could tell you lots of stories, but you get the drift. I think you understand that to reveal the truth about an MLM is like dissing someone’s religious belief, and some, like Amway, even teach that their affiliates must, “cut off,” any family and friends that are, “negative,” i.e, don’t buy into the scam. Melalueca does exist! It is a company worth checking into. Essential oils are not the “latest” miracle cures. They are much older than I.
I came on this page to read Taunas’ findings on her research. I accept that she is not an “expert”. Nor do I feel that she is “pushing” anything. Melaleuca is still around and has been for quite awhile. They have essential oils too. I generally get them from there because of the price. They are much cheaper. The only thing I don’t like about Melaleuca is that you have to spend 35 pts a month which gets to be to much for me. I am not working at the time so I try to keep my spending down and still keep my family healthy without so many antibiotics. My friend and I do it together each month and that seems to work for us. I personally love the cleaners. It’s funny that you mentioned Amway. I use their laundry soap. I like it better because a box last me 6-8 months and it’s hypoallergenic. My in-laws have been in it for over 20 years. They aren’t out selling it anymore but I find it funny that my mother in law sells more laundry soap now then she did when she was trying to make money at it. As for the essential oils I currently use Young Living and Melaleuca’s. But I am wondering if there is anything cheaper but still has the quality. I’m really kind of confused yet about which one to use. I’m learning a lot reading these replies. I still don’t what I am going to use but hopefully with what I learned here I will find one. I find it odd that people want to restrict them selves to one company. I buy different oils from several companies including NAN/RMO. The strongest davan, palmarosa, and vetiver I have purchased has come from Mountain Rose Herbs. NAN is the only lemon oil I can stomach and I love their frankincense and cucumber. They have amazing blends that are worth trying. Plant Therapy is one of the best places to get rosalina and I can actually afford their chamomile and helichrysum. Their shipping rates are really good as well. YL peppermint is my favorite and nothing I have found has compared to their Valor blend. How could I chose only one company to buy from when they all have something great to offer. That’s an interesting point. I suppose it’s because we get focused on the quality issue and assume that a company’s quality applies across the board to its oils, so better to pick a great company and stick with it. But If you are experienced with several companies and find that different oils/blends from different ones suit you best, that makes a lot of sense too! I will never buy from Mountain Rose again. I had one very good order. The next time one of the products was an eo perfume with the major ingredient of sandalwood. When I opened it, it smelled like vanilla extract in oil. Yes, it mentions vanilla extract on the label. I couldn’t smell any sandalwood, and I think $24 plus $4 for shipping for a quarter ounce of cooking oil with vanilla extract a bit much. happy with their policy. Really stupid of them, as they said it was just a one time thing, so I will never order from them again, knowing their phony return policy. It isn’t honest to call yourself a skeptic if you are an affiliate or have any financial or relational interest in the company. As I researched and then tested out oils from NAN, I found that the ones I tried really did work for some things very well. There are a ton I’ve yet to try and I am still researching, but oils have become a regular part of our household now and I’m glad for it. In finding this, I signed up as an affiliate with the company and I don’t feel like that’s a bad thing. Neither do most of my readers! I am able to share great deals and review products for them and they can choose whether to support me with the affiliate links. No MLM required. Thank you for your reply. I didn’t think you were promoting MLM’s, although it seems you were selling their products at one time and the warning was for MLM cultists, although it is doubtful any would listen to such heresy. Perhaps you are unaware of the definition of a skeptic, which contains the requirement that one look for real evidence and do legitimate testing of a hypothysis. A skeptic does not determine what is true based upon feelings or experiences, in which case every bizarre thing which I won’t go into is valid. There is nothin wrong with writing an advertisement, promo piece or apologetic; just be clear about what you are doing. BTW, I asked a person I know who uses a lot of eo’s in the products she sells. I asked her which company(s) she used, and I haven’t heard of any of them, assuming these may only sell wholesale. It appears most EO companies use the same middlemen who buy from the same large producers and the only difference is marketing, despite the claims. MLM cultists? Really? Could you be any more insulting!? I sell EO’s. Not much but a few. I even teach classes. I tested them against other EO’s before I started though. (because, you know, I was using them on pregnant/nursing moms and families as well as my family). DT didn’t brainwash me. I’ve seen them work. Not just on clients but on my family and I as well. Being as sick as I am, when I find something that works, I stick with it. No one is pushing me to sell. No one is brainwashing me. My friend was doing nothing but helping me and it has made such a difference in my life. To call someone like me or her a “cultist”, someone you know nothing about, someone who did the work to make sure she was protecting her family and her clients before choosing to sign up for an MLM, someone who was truly helped because she made sure she was getting an EO that would be therapeutic, is extremely insulting. Please watch your words. Not all MLM’s are the same and not all of us who sell are the same. Keep that in mind. Wish my daughter could council with you. She has most of the issues you mentioned in another post and finds it impossible to lead a normal life, often questioning why God doesn’t take her and end her suffering. Most people ridicule her condition as being fabricated, trying to avoid normal activities/obligations to her family. Thank you for sharing your story which will hopefully help others in the same situation realized there is hope. My God bless you with continued health as you help others. Does anyone know anything about natures bounty essential oils? I really like them and the price seems very reasonable. I have been educated by an ex YL distributor who worked with this company for many years. She showed me difference between the perfume standard quality of which YL sits at today and that of Certified Pure Therapeutic Grade. Medical community recognize and offer CPTG to their patients. It was an easy way to learn the difference. In addition in Canada law states a company only need 10 percent pure essential oil to advertise on the bottle as 100%pure EO. I agree!!! I got caught in that MLM for a very brief time (3 months) and got off that wagon!!! Talk about cult like!!! I just want to find the best and purest oils that will work for the best price and MLM can go find another patsy. There is no such thing as “organic” when it comes to essential oils. When I read information on a website or from a company that uses the word other than to tell the truth: there is no such quality, I run! First, see my post from Feb 7, 2015 at 9:47. Read that first. Having done that, let me say, that I found an EO company that I LOVE. Eden’s Garden. Their oils are 100% Therapudic grade. Very high quality. Extremely reasonable in price since they are not a multi-level marketing company. I tried their Muscle Relief (same thing as Panaway for YL) on my son-in-law. He was shocked how well it worked and I had to give him the bottle. My daughter also tried it and couldn’t believe how well it worked on her, so I had to order them another bottle. My father-in-law fell and really messed himself up so I took him a bottle of it. He called me and ordered two more to keep on hand!!! I love Eden’s Garden. They are quick to respond to your emails as well and you aren’t paying the middle man. To give you an example on the difference in price from YL to EG: YL Thieves 15 ml Whls $33.75, Retail $44.41 vs EG Four Thieves 10 ml $7.95, 30 ml $14.95. YL Panaway 5 ml Whls $32.50 Retail $52.76, 15 ml Whls $74.50, Retail $98.03 vs EG 10 ml $7.25. Now which would you rather pay? I would rather not line the pockets of someone else. and still get the same quality. Hope this helps. I agree that you have to find a company you trust, that you know offers good oils. I’ve purchased MLM frankincense and have been happy. But I’ve also used other brands with good results. For instance, my husband and I cleared up our dog’s ear infection with a mix of essential oils, and not one of them was from an MLM company. I’ve bought a few essential oils and have found some to be helpful. Like a lot of comments I’ve read, I to would like to get off some of the medicines such as sinus, and ibs. I appreciate all the research you’ve done and publishing for those os us just learning. 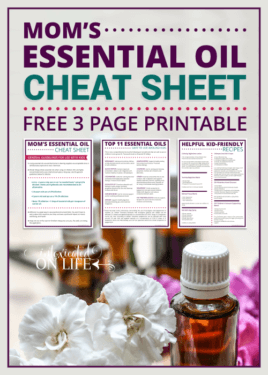 Thanks for sharing this useful info on choosing an essential oil company…. After researching, I have also decided to purchase through NAN but l am unable buy online as the kits I waned to start with are out of stock? How often does this happen? I haven’t noticed it before with the kits. Usually with individual oils it is because they had an unexpected demand or had to send a batch back for quality control and wait for a better product. Usually contacting customer service will help you in finding out how long it will take them to re-stock. There are many farmers who use low or non-toxic farming practices, or are even technically farming with organic practices, but choose not to jump through the expensive certification hoops to become certified organic. Instead, they develop a relationship with local buyers. Even at my local Whole Foods store people are starting to ask for more labels showing which products are locally grown regardless of whether they are certified “organic” or not for that very reason. In my research I’ve found that a similar situation exists in the essential oils business. That’s what I was trying to communicate in this post but I probably could have been clearer on that point. The local wild-crafted way of producing essential oils may not necessarily produce a certified organic essential oil, but I still trust it more. Same with my food. Know my farmer. You have to remember some of us who buy essential oils are doing so for inclusion for products we sell in business. If I am stating that a particular ingredient is organic than I better have something to back that up. That’s were certified organic supplier comes in. They save our rear end with customers who want proof that its certified organic. That’s why Mountain Rose Herb is the winner for us. That being said, I absolutely agree that a non certified company may very well be producing a cleaner oil. Well I would pay more money for purer oils. And I would expect them to cost more. I want the best for my dollar always! Have you heard anything on Salis essential oils particularly the immunity one? Thank you. You should join a Facebook group called Blue Tandy Analysis. 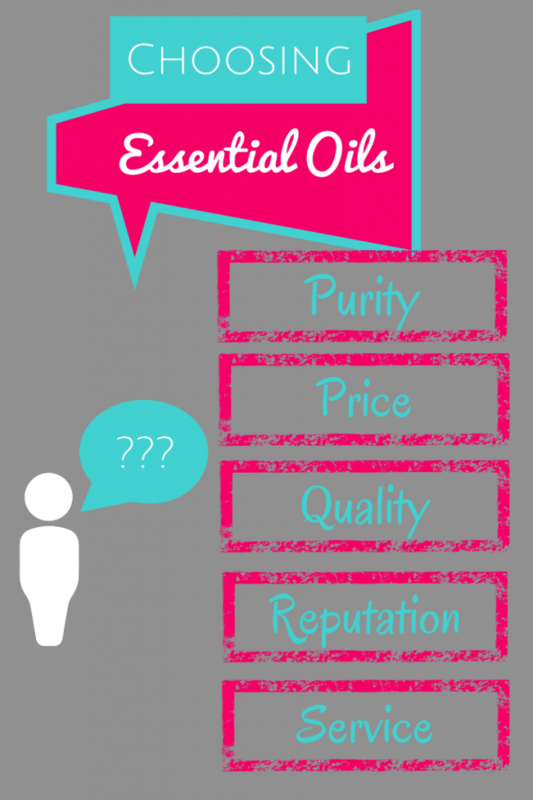 We discuss analytics but also what makes a good essential oil company. Several important people in the EO industry are also members. These include Dr. Robert Pappas and Robert Tossed and, among others. Last year they had oils from a bunch of companies sent in for testing and I believe some of NAN’s failed. They just recently sent in another bunch of oils to an independent lab for more testing so we’re looking forward to those results. I buy my oils from Plant Therapy and Nature’s Gift. Oils from both companies passed all tests. If you join the group, go to the “files” section to find all of the testing results and much more. I’m sorry, the name of the FB group is actually Blue Tansy Analysis. Auto correct changed it! Yes! I just joined this group a week or two ago. 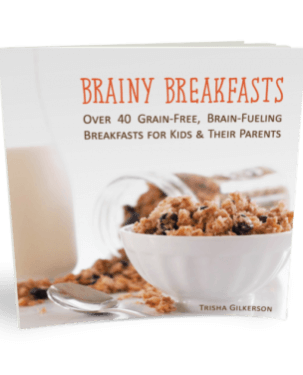 Very interesting and lots of great info. I did read up on the NAN issues as well. NAN/RMO recently updated their site and added a public results page for third party testing they have done and I wonder if it’s as a result of that experience. http://www.rockymountainoils.com/get-gcms-test-results/. I didn’t know that another set had been sent in for testing in the Blue Tansy group. I’ll check on that and follow along. Thanks! Hi Tauna! Thank you for your article, especially your check list. It is very helpful! Well, I’m just a beginner in the EO journey so I don’t have much experience. I wonder how we can check on the purity of a product of essential oil to compare it to others. Please show me. Thank you. This is a must read article for anyone wanting to learn more about essential oils. Don’t get fooled by marketing. You need to do as much research as possible to make sure you buy something that is actually good and not overhyped. Great job on this article! I was diagnosed with Addison’s disease and other severe auto-immune conditions. Had to go the holistic and natural route because my body had high toxicities and sensitivities to chemicals. My husband calls be the human chemical detector. No perfumes, candles, hairsprays, etc. 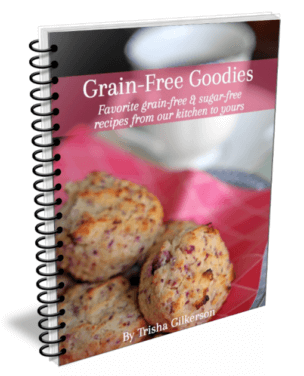 I have to make my own from natural and certified free from chemicals and pesticides. Even my diet has to be organic so I can maintain some sort of ‘normal’ life. After getting sick from some name brands and cheaper brands I decided that I was going to create my own certified organic brand so I knew what was going in them. I am a huge advocate for certified organic. There is a difference and you will be able to tell. I wish all well in their health journey! Love your site and information! Had quit using my cold air diffuser and pulled it out a few days ago while sick with a case of bronchitis. Hope you are feeling better very soon! I read this whole blog. It was great! Thank you for putting it together. I was hoping to find which company or companies you chose. Did you say? Did I miss that? I primarily use doTERRA but also use Rocky Mountain oils for some I’m not able to get from doTERRA. I do believe there are a number of good brands out there, but these are the two that have really had a good track record. I buy enough that having a wholesale account with DT and using their frequent oil program makes really good sense for me and I earn tons of free oils. There seems to be so many different companies to choose from, I don’t know where to start! I didn’t see Avenir Oils listed except somebody mentioned them to me the other day. Any experience with them? I linked to their website in my name. Do you have any information on Bodhi Essential Oils? I’ve been using essential oils medicinally and for homemade products for over 20 years. I like Liberty Natural Products in Oregon (although I also own oils from YL & others, too). I’ve never had a problem with LNP’s quality or service. Seems like a family business. What I like best is that you can order the oils in a variety of sizes, so if you want to try out a new oil without spending a bundle, go for the smallest bottle. They list country of origin, how it’s processed & major components clearly. Their website is very basic, as is their catalog. No money wasted on marketing, whatsoever. If you try them out, don’t forget, orifice reducers and droppers have to be ordered separately.